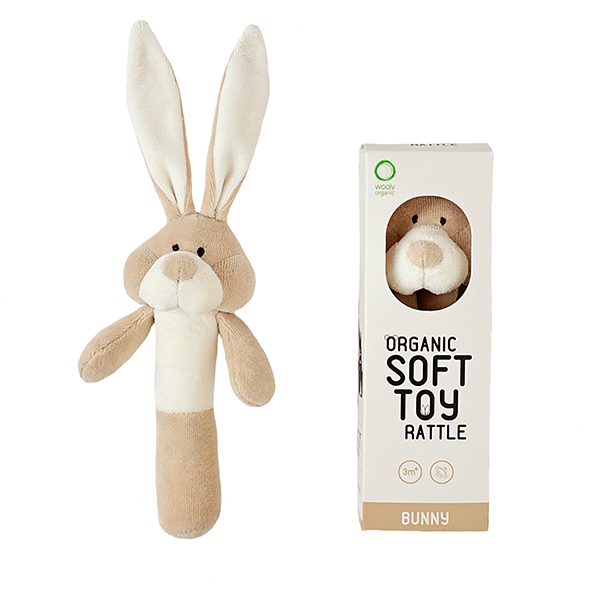 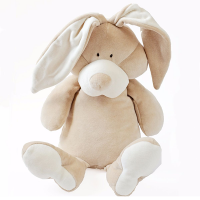 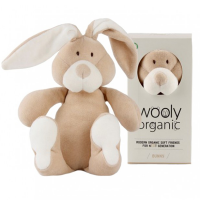 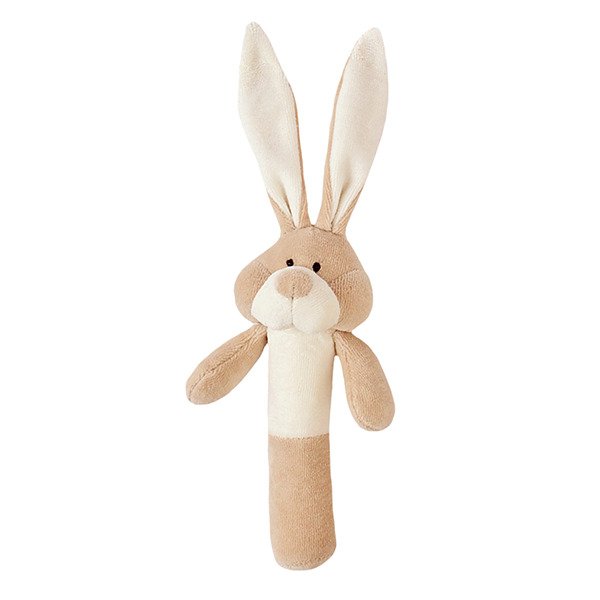 This adorable organic cotton velour bunny rattle is lovely and light to lift and super soft to the touch. 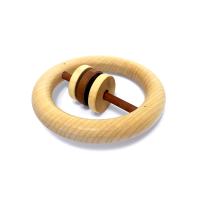 Perfect for little ones to hold and play with, it makes a gentle pleasing rattle when shaken and a crinkle sound when squeezed. 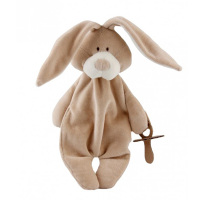 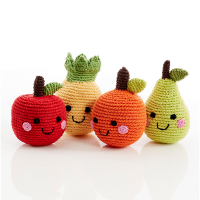 Not just cute to look at, this little fellow helps to develop hand to eye coordination. 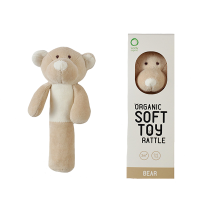 Comes presented in a lovely cardboard gift box.